With over 180 speakers from 30 countries, this year’s UWRF lineup is a literary treasure trove of discoveries. Each week in the lead up to the Festival, we’ll speak to a writer whose work you may not have encountered yet, but who could well turn out to be your Festival favorite. This week we hear from award-winning children’s book writer and illustrator Kim Toft. Who do you hope will be in the audience?. Children are obviously my main target audience and I use song and dance, puppets and poetry to interact with the kids to look at half a dozen of my books. Adults will also be fascinated with the process of creating a picture book as I am also the publisher. I have been to some amazing places with exhibitions, festivals and book launches including Maui, Hong Kong and Vancouver. I have also presented at some very remote parts of Australia such as Borroloola on the gulf in the Northern Territory with a primarily Indigenous community. The best piece of creative advice I could give is to always finish a project whether it is a drawing/illustration or writing a story and to keep doing it over and over again. The best piece of advice I have received…do what makes you happy and focus on that and don’t worry about the end result. It takes two-to-three years for me to complete a book due to the size and detail of my hand painted silk illustrations, so I become very involved in the books and they are almost like babies. I always love the book I am working on. 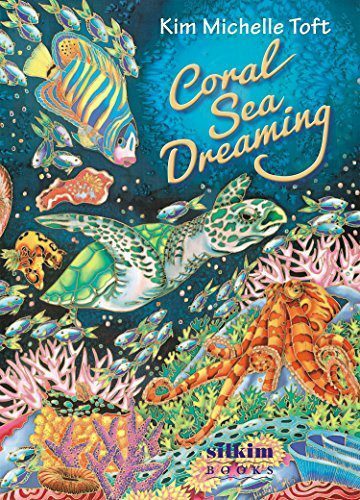 My latest book is Coral Sea Dreaming and I will be showcasing it at the festival, however my first book One Less Fish is a sentimental favorite and there are nine books in between. I personally love A Sea of Words and my crocodile book Tick Tock Tick Tock What’s Up Croc?. I am happy to report that ten out of my eleven books are still in print! I love traveling to new places and meeting people from around the world. I have heard many wonderful reports about the UWRF over the years and I am thrilled I will presenting in such a beautiful part of the world. I am also looking forward to the food! 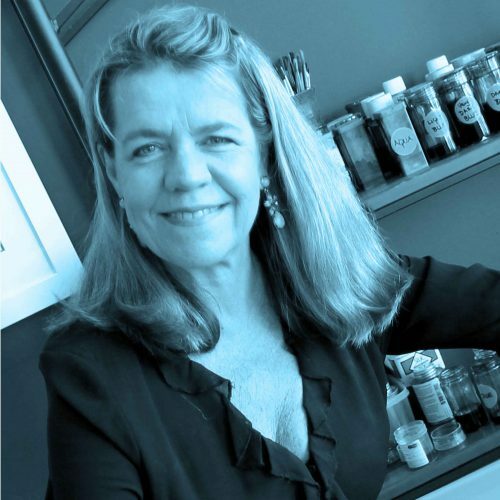 Kim Toft is appearing in the Main Program panel Worth a Thousand Words on Day 2, and presenting the Workshop: Silk Painting Inspiration. To buy your 4-Day Pass or 1-Day Pass, click here.